Disney Mediterranean Cruise Cost - What Is Included? Taking a Disney Mediterranean Cruise may be a little more expensive than many of the other cruise lines but it is important to keep in mind that these are geared more for families with children. Everything that Disney does is to ensure that children and families have a safe and fun vacation. If you book in advance, you are sure to get one of the best Mediterranean cruise deals that Disney has to offer. Many ships offer cruises from Barcelona, with a Disney Mediterranean Cruise you can leave from within the United States and be able to enjoy several relaxing days at sea before reaching Europe. 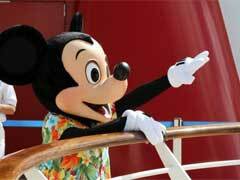 Disney Cruise Lines also offers many other vacations such as a Disney Alaska cruise and a Disney Caribbean cruise. When you purchase a Disney Mediterranean Cruise package, many things will be included in the price. Among the items that are included in your price is the stateroom, every meal aboard the ship, snacks, ice cream, soda with meals as well as in the several soda stations spread throughout the ship. Entertainment and youth activities are also included. Depending on the stateroom purchased, guests may also be eligible for up to $500 in onboard credit. It is Disney’s objective to make sure that every guest experiences one of the best Mediterranean cruises possible. There are also some things that are not included in the Disney Mediterranean Cruise price. Some of these are spa and salon treatments, phone calls, photos, video games, internet usage and shore excursions. It’s important to keep this in mind when planning your trip. You may want to bring some extra money so that you can enjoy some of these other activities.